Scattered showers are rapidly increasing across southeast Texas, and these will spread east into Southwest Louisiana overnight. Eventually a broken line of thunderstorms will form ahead of an approaching cold front. These storms are likely to arrive between 4 a.m. and 8 a.m., moving quickly off to the east by 9 a.m. A few strong storms are possible, but the risk of severe weather is very low; however that threat is not zero either. A few storms may produce gusty winds in excess of 50 mph along with briefly heavy rainfall. 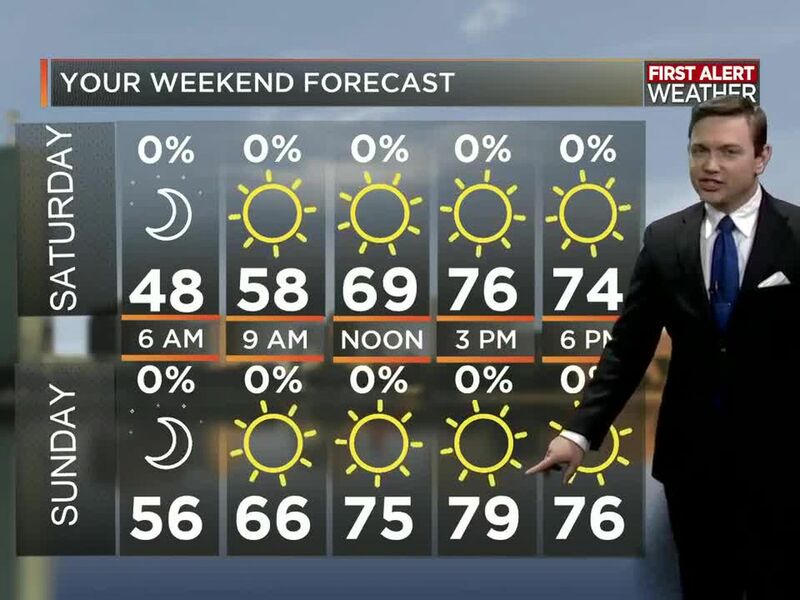 On Saturday, our cold front will finally push through. 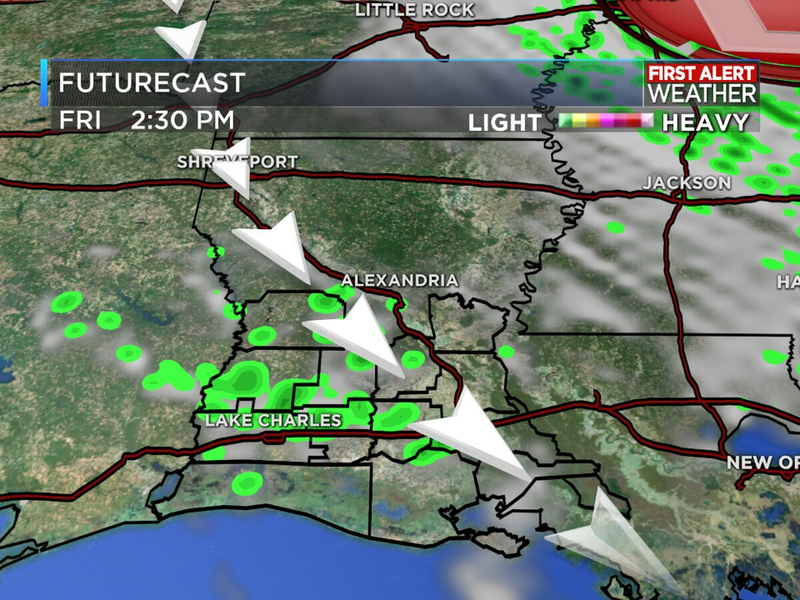 It will increase our rain chances to 70% for the day. All of the rain will be in the morning. There could be a few thunderstorms involved, but I do not expect any severe weather. By the afternoon, the rain will be gone. Plus, I am expecting less than an inch of rain when it’s all said and done. Any outdoor plans will need to have an indoor plan alternative. That cold front will also decrease our temperatures dramatically. The front will be moving through in the morning, so temperatures will be dropping throughout the day. When you factor in the wind, it will feel like the 40s in the afternoon. By the evening hours, the actual temperatures should already be getting down to the 40s after starting the day in the 60s. Eventually, the temperature should drop to the mid 30s and will feel like the 20s to start off on Sunday. 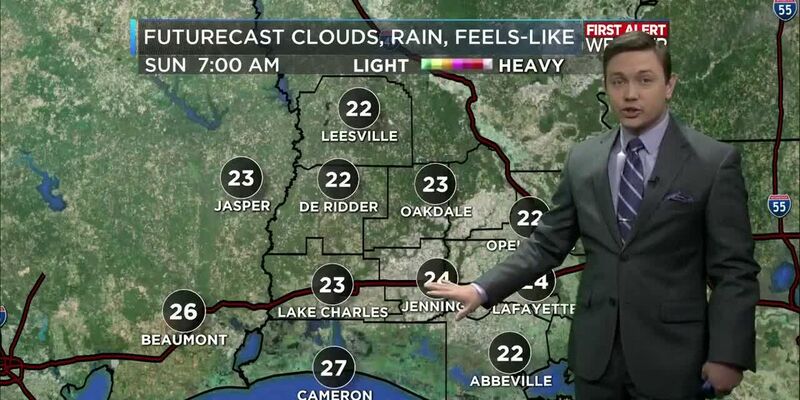 The feels-like temperatures will be in the lower 20s Sunday morning. After the cold front passes through, it will be much colder. It will be our coldest air of the season so far. 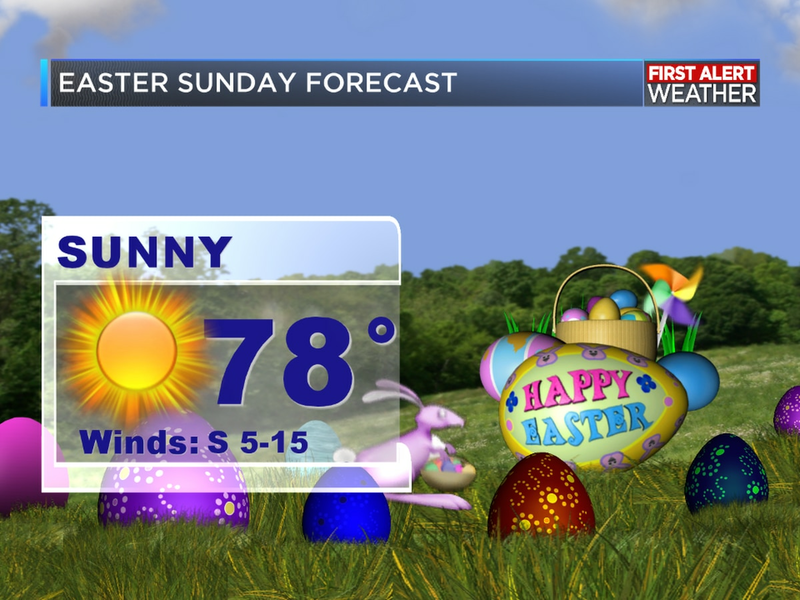 On Sunday, the temperature should only warm up to the upper 40s. Some places may get lucky enough to see the 50s. With the windy conditions, it may only feel like the 30s and 40s all day! Then those temperatures will cool down to the mid 30s overnight. It is time to get out your heaviest coats and winter gear! Monday will be a nice day. The winds should turn back to the south, and that will help increase the temperature. There will be a lot of sunshine to start off the day, then the clouds will begin to increase by afternoon and evening. Especially overnight. Temperatures should warm up to near 60 degrees. What a turnaround after Sunday, right? By the middle of next week, we are expecting another cold front to push through. The rain chances will begin to go up on Tuesday. I have them up to 60%. 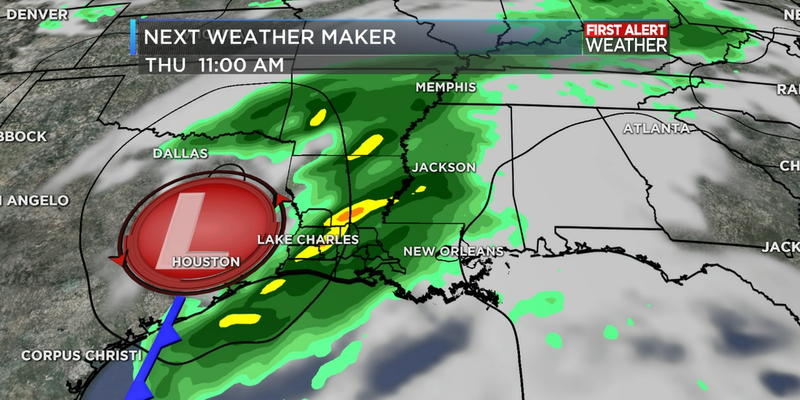 By Wednesday morning, most of the rain will be gone. 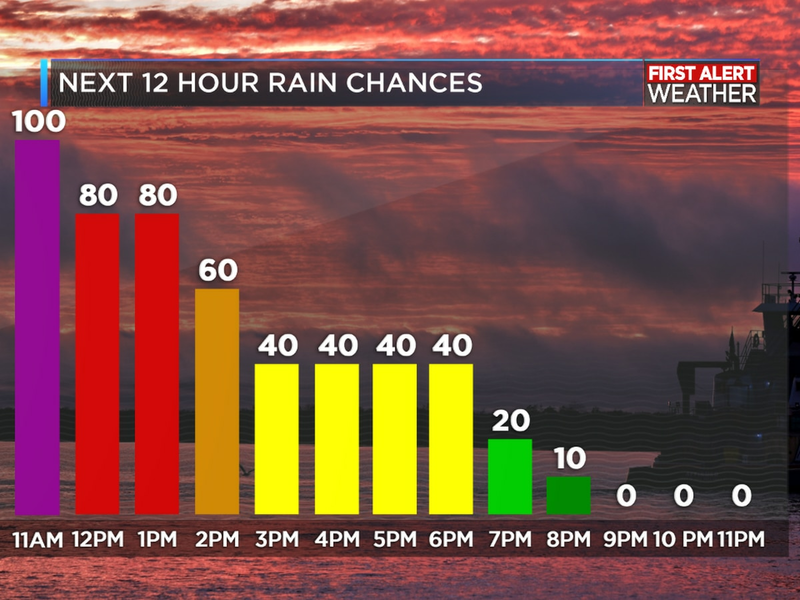 So, the rain chances will not be as high. This will also bring a brief warm-up prior to the front passing, but then temperatures will drop again by Wednesday with another shot of cold air. Temperatures will go from the upper 60s on Tuesday to the low 50s on Wednesday. 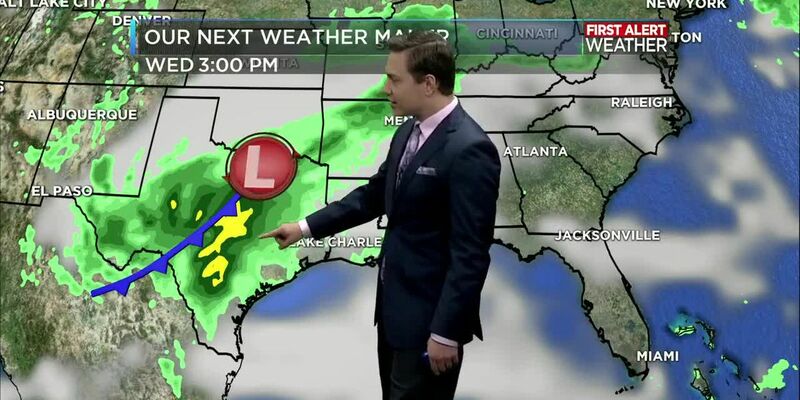 By Thursday next week, the rain will be gone, but the clouds will remain in place. There will be more cool temperatures after the cold front and the lack of sunshine. The clouds will slowly go away and by Friday, it should be partly cloudy. So, at least we will end next week on a positive note.